We have a great selection of Suet Treats for your garden birds. All of our suet products are produced right here on our Bedfordshire farm. We make all of our own suet pellets, suet rolls, suet blocks/cakes, suet balls and filled coconut shells. 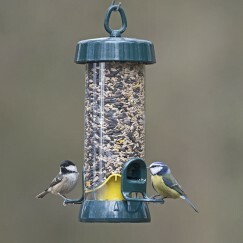 They're popular with a large variety of garden birds and offer high levels of proteins, minerals and natural, healthy oils.